I hope everyone had a fabulous Christmas holiday! This year I'm having some friends over for a New Year's Day Brunch. The theme is all about finding inner satisfaction and happiness. I find that in today's world, we're constantly bombarded online and in magazines with images and products that are all geared towards making us feel inadequate. The other day I was in the waiting room of an orthopedic surgeon's office and saw three flyers for facial injections to get rid of wrinkles. And I didn't even look at the magazines on the coffee table, which I'm sure were filled with photoshopped women who don't even, apparently, have pores. I'm still working on the ideas for achieving inner satisfaction and I intend to share those in a slightly later post. 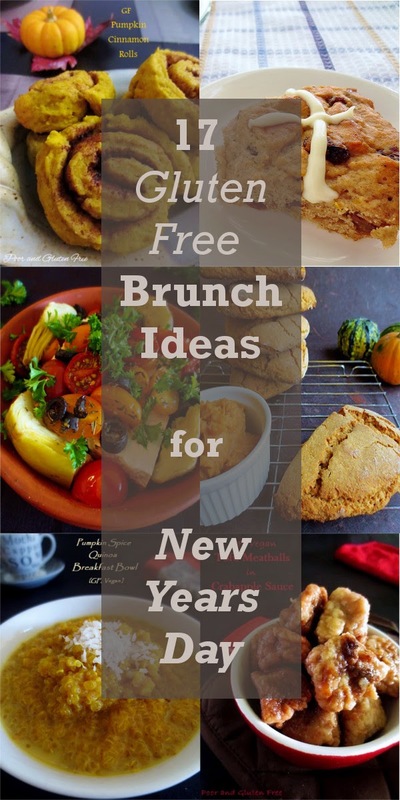 But today, I'm working on menu planning for the brunch and I've put together a list of some of the items I'll be laying out for my Gluten Free New Year's Brunch. Simplicity is key when it comes to cleaning up! I like finger foods for these types of things, especially since I’m anticipating about 12 people. I’ll be putting out biodegradable paper plates and cutlery so I don’t have to do dishes. Luckily, we have a table with two extra leaves, so we can expand it to seat 12 if needed. It's also great because I can lay out a ton of food, buffet style, and let people walk around the table to pick out what they like. Of course, I won't be putting out ALL of these things, but will pick out a few to arrange on the table. Most of these have vegan or vegetarian options and are free of dairy, soy, gluten, and nuts. 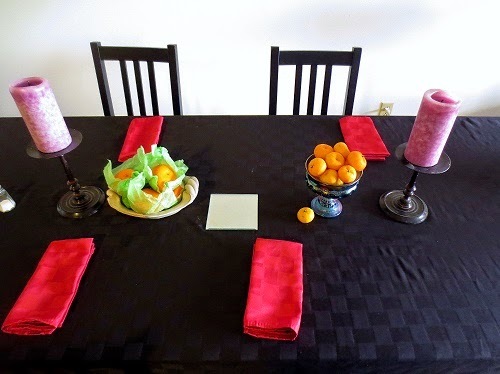 Also, I plan to arrange some mandarin and mini sweet oranges and grapes around the table in bowls. Like I did below when I made a Christmas brunch for my mom and my in-laws last weekend. 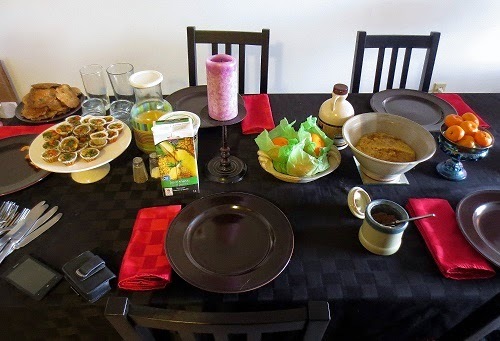 A section of the table pre: food being added. The table set with blueberry pancakes, mini quiche, quinoa breakfast bowl, oranges, juice, etc. What's your favorite, go-to brunch/breakfast recipe? Do you have any New Year's traditions?